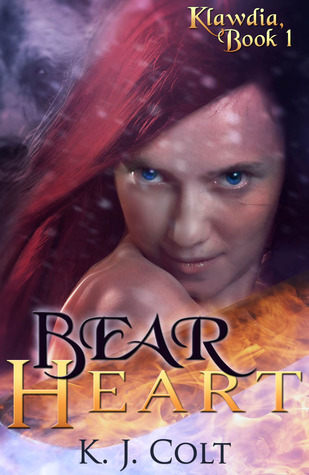 Number of pages: 100 p.
The Bear tribe have always ruled the Nation of Ruxdor, though with no male heirs to continue the line, Klawdia, the chieftain’s daughter and only child, must compete in a bestial rite of passage against four other tribal boys to retain her family’s sovereignty. The competition is set among the perils of the Death Peak Mountains and pits representatives from Ruxdor's five strongest tribes—Bear, Lion, Wolf, Snake, and Hawgrald—against each other in a race to slaughter their tribe’s animal and return home. Each competitor is overseen by an opposing tribe’s elder to discourage dishonesty. First thought: I thought I was going to get a shifters story, a bear shifter or something. I wanted to read some good old shifters story. This was not one of those stories, no shifters but real bears, wolves, snakes, birds and lions. By the way, Lions in the snow? The setting of this story is in the middle of winter, it's freezing, the ground is covered in snow. I find weird to place a lion in this environment. Maybe it's a prehistoric lion, lets hope, because the modern lion's habitat would be a "little" warmer, like Africa hot. Allthough this was not what I was hoping for, the story turned out to be pretty great! It was really well written, nice and short (only a hundert pages) which makes this in my book a novella. I thought Klawdia was a strong character, I like her but in some cases she was a bit naive. But on the other hand, the betrayal came as a bit of a suprise even for me too. Ok another great thing about this book are the original names!! They sound a bit Scandinavian, also they go very well with the setting and the tribes. All in all I enjoyed this very much and I am looking forward to reading the next installment in this series, because the author left us with a big cliffhanger! If you enjoy short reads with lots of action, a historical feel and strong hero this is for you!!! I give this read 4 skaters!!! !